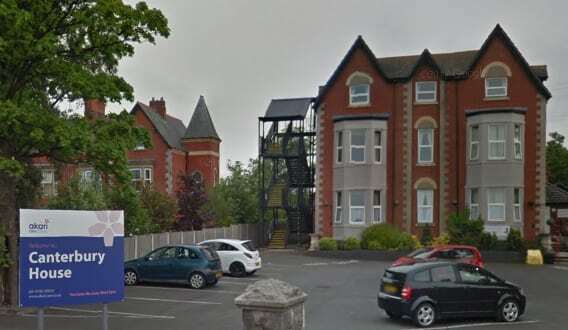 Akari Care has introduced a voluntary admissions embargo at its Canterbury House in Rhyl, north east Wales following a damning inspection report. The home was issued with a non-compliance notice by Care Inspectorate Wales following an inspection in May. On another occasion a resident was reported to have entered another person’s room and tried to pull them from their bed. Inspectors observed one person enter another resident’s room and lie on their bed. The report noted the home’s reliance on agency staff to cover vacant shifts and observed that while efforts had been made to use the same staff for consistency that had no always been possible. While noting that residents had suffered no ill effects from swallowing cleaning agents, the CIW stressed that “systems must be in place to ensure all chemicals are stored securely to minimise further risk to peoples’ safety”. An Akari Care spokesperson said: “Akari takes the safety and care of residents very seriously. A new manager has been in place since late March 2018 and significant progress has been made to address all improvement opportunities identified by CIW. Akari Care said residents and their families had rated Canterbury House one of the best homes in north Wales.